When you have a lot of projects in your workspace, it can be tough to find what you're looking for. To help with this, you can now nest projects together. Simply, you can choose a parent for a project. It will then sit under the project in the Project Navigator. This does not mean that the parent project includes the actions of its children. It simply organizes the projects in a visual format that easier to navigate. 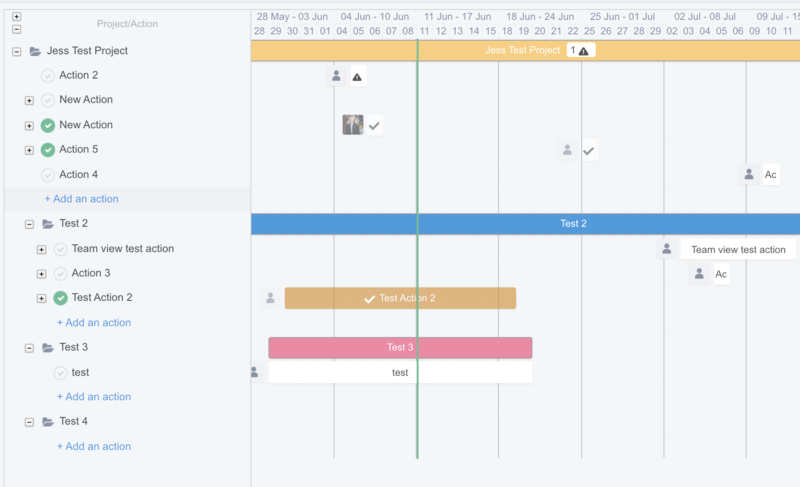 Note: Gantt view is the only project view that will visually display actions of the parent and the children. See below for more information! 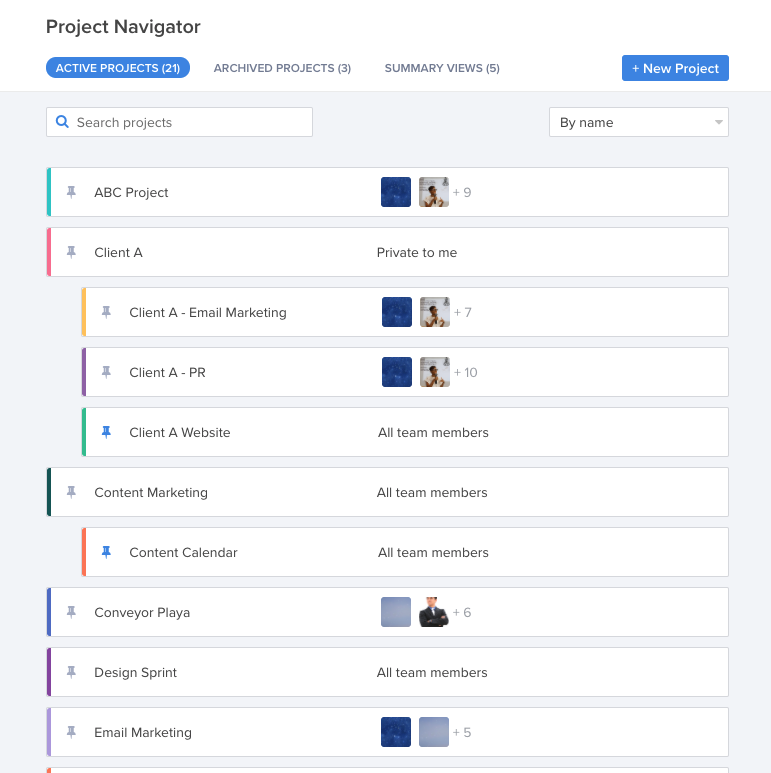 Hover over the project you want to nest. Click Edit. It should open a modal (see picture below) with a drop down to add a parent project. Select the project you want to make the parent and select Done. 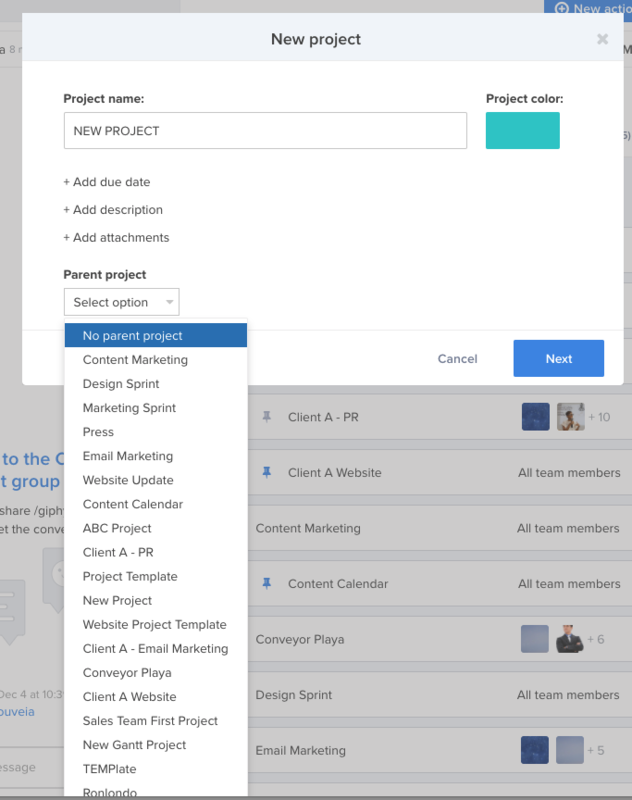 Open drop down, select the project you want to add and finish creating the project. Once you have your parent and children project set up - you can view them all at once through a Gantt view of the parent project. 3. Both the parent and and child projects will appear with folder icons next to their name, and colored bars reflecting the color chosen for the project. The parent project will be listed first. All other gantt functionality and styling apply! 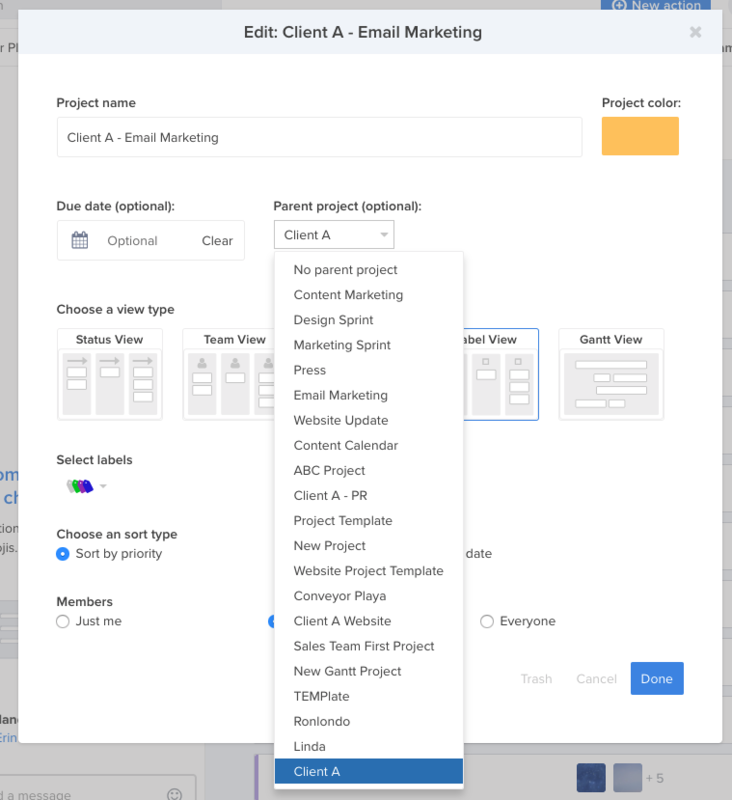 Drag and drop to rearrange within projects or move actions between projects.